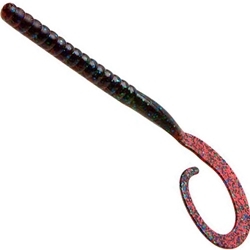 Zoom's Mag Ol' Monster will definitely make a splash with the guys that are heaving big 12" worms. Compared to the original Ol' Monster this Mag reaches 12" in length and is also beefier around the middle with a circumference of 1-3/8". You are sure to make a statement when throwing the Mag Ol' Monster.